At the core of Palmer Group is a friendly, professional, family business that has grown steadily since 1980. Attention to detail and a real desire to “go the extra mile” is the key to all of the services on offer. Owning a large fleet of specialist equipment with a strong local workforce and a good stock of parts and products, Palmer Group are able to respond quickly to most client requests and fine-tune the ever important costs. This flexibility makes us consistently one of the most cost effective suppliers in the market today. Take a look at our specialist services and please feel free to contact us to discuss how we might be of assistance. Training Solutions for First Aid, Health and Safety, Traffic Management, Education and Construction courses. You can have confidence in the service we provide knowing we have been assessed and registered by NQA against the provisions of ISO 9001: 2015 and National Highway Sector Schemes 2A, 2B, 12A/12B, 12C & 12D. 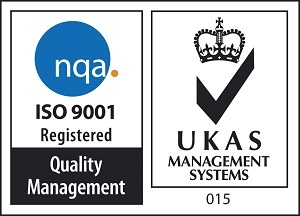 Palmer Group are proud that our Commercial Fencing, Safety Fencing (crash barrier) and Traffic Management operating divisions are ISO 9001:2015 certified. We operate our Safety Fencing (crash barrier) and Traffic Management operating divisions within the framework of the National Highways Sector Schemes. Brifen wire rope, safety line, varioguard, barrierguard 800, tensioned corrugated barriers, un-tensioned corrugated barriers, open box beam, double rail open box beam, rectangular hollow sections, temporary vertical concrete blocks, vehicle restraint systems manufactured in accordance with BS EN 1317 (not including work on parapets or cast in-situ concrete barriers). As an established and responsible company we care about our obligations to the environment and take seriously our legislative responsibilities. Construction Industry activities can be hazardous for everyone involved. We understand our responsibility to our workforce, clients, visitors and members of the public. Palmer Group are a health and safety compliant business. We are accredited within the Contractors Health and Safety Assessment Scheme (CHAS) having demonstrated compliance with and sound management of current basic health and safety legislation. As a CHAS accredited contractor we have already been assessed and pre-approved for Health and Safety compliance - so we can speed up your procurement process for your project. All you need is our certificate of assessment to demonstrate our safety competence and speed up the prequalification stage. Projects to challenge you, people to inspire you, training to develop you.